The owners of a football club come in a variety of models – oligarchic, oil-rich owners who blindly toss heaving sacks of cash in the direction of the manager or Director of Football; financially scrupulous and frequently ignorant owners who don’t pay the blindest bit of attention to the world outside their boardroom; those who enforce a strict “buy low, sell high” attitude, akin to that of F.C Porto, and so on. For years this structure has gone unchanged, particularly in the Premier League. Every Summer sees Manchester City and Chelsea complete blockbuster deals, Arsenal attempt and ultimately fail to sign everyone under the sun as Arsene Wenger passes the buck onto the board, and somewhere in the background Aston Villa sign the likes of Christian Benteke and Jores Okore for pittance. In the last couple of years, however, Fenway Sports Group have introduced a new brand of ownership which simultaneously has the potential to be more successful and more frustrating than its predecessors. Having introduced themselves into the world of club ownership in the most conforming of styles (spending a huge amount of money on players who didn’t really address any problems), FSG have since developed a unique identity in the football world. Unafraid of spending the money they recoup on transfers and wage reductions on key areas, yet firm enough to set up roadblocks in the pursuit of frivolous players (Chelsea’s capture of Willian is a perfect example), the Americans have made a name for themselves as stubborn and determined rulers. Their stubbornness and determination was displayed fully in August 2012, a month which I am sure Liverpool fans will remember. Granted the £15m to sign Joe Allen, a fee which could be described as advantageous for Swansea, FSG proceeded to deny Brendan Rodgers the funds to sign Clint Dempsey in a month where Andy Carroll was loaned to West Ham, making Luis Suarez their only proven striker. This denial was a message of intent from FSG to the other Premier League clubs, as a reaction to the slating which they received following their agreement to fund the £35m capture of Andy Carroll on the deadline day 18 months previous. Seen at the time as a shortsighted and ignorant decision, it proved to be the exact opposite. Dempsey went on to score just seven league goals in 29 appearances for Tottenham, and has since moved to the Seattle Sounders. Six months later, Brendan Rodgers signed Philippe Coutinho and Daniel Sturridge from Internazionale and Chelsea respectively for a combined fee of around £20m. The pair have since been involved in 21 league goals for Liverpool, 19 of which came in the six months following their transfers to the club. By being stubborn and taking the flak from the fans, FSG resisted the urge to splash out on Dempsey (Who coaxed Spurs into offering him the most lucrative deal any American footballer has ever received on deadline day) and instead signed two young players six months later who became arguably Liverpool’s best. For a bargain, I might add. This month, a similar situation has arisen. The owners have once more been criticised for their decision not to sanction Rodgers an extra £5m to secure the signing of Willian Borges from Anzhi Makhachkala, leading him to instead join Chelsea. While the jury is most definitely still out on Willian, who has yet to even officially sign for the Blues, I think it is fair to say that £30m is more than enough to bid for a player who has played exclusively in Eastern Europe and is transfer listed by a club who are seemingly having as large a fire sale as Leeds did in 2003. Therefore, it is also fair to say that paying an extra £5m on top of that would be as extortionate as Clint Dempsey holding Spurs and Liverpool at ransom on deadline day 2012, or Newcastle in January 2011. Fans of the club, and Rodgers himself, are insisting that a left winger is a necessity in order for Liverpool to realise their full potential and push up the table. As was the situation when FSG blocked the transfer of Dempsey in order to prevent extortion. It’s important for Liverpool to remember that the manager seemingly has £30m at his disposal to sign a left winger, which is more than enough to sign an improvement on Stewart Downing. The £35m fee offered to Liverpool for Willian was likely little more than bait from agent Kia Joorabchian, who represents the Brazilian, to lure Champions League clubs like Chelsea. There are dozens of left wingers who are more established and more cheaply available than Willian who could be attained for that amount of money, and Rodgers would have shown incredible rashness and lack of foresight had he insisted upon the additional money being made available for Borges. While it is understandable for Liverpool fans, myself included, to become disillusioned by Fenway Sports Group’s stubbornness, they must also be praised for their patience and refusal to bow to fan and media pressure – I believe it will be the making of the new Liverpool Football Club. 16 Year Old Newbie, Supports LFC. Often tweets ill-thought out rants and other nonsense. Likes footballing history, particularly in Eastern Europe. Can be seen arguing with fans of League of Ireland on street corners and Twitter. Nice article, as a Liverpool fan I’m very happy with all the decisions being made after the 2011-12 season. Want them gone personally, not good enough for a club with Champions League aspirations. Would be great for a lower table club, but not for ours. Just my opinion. You hear about all this money being avaliable to BR, where is it and why have we not got a 6m rated young defender from Proto? Surely 6m in this day and age is penuts. I believe its all a show from the silly Americans (here we go again George and Tom!). Sadly this owners are takeing us backwards again. 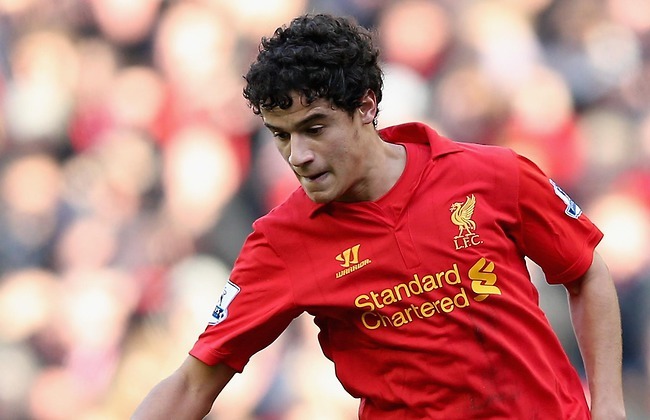 I presume that it is Rodgers who opted to turn down Tiago Ilori, not FSG, due to the fact that the cessation of discussions was based more on footballing reasons, rather than financial. And in response to ‘Just Saying How I Feel’, I believe that a core of financial stability will strengthen us in the long term while gradually improving us in the short term. I could be completely wrong, mind. O Jogo a Portugese website are saying we are buying IIori!! !